Wahoo! Fall is almost here! I can’t wait to start wearing my boots and layer and, yum, drink my favorite salted caramel hot cocoa! Ah…I love the fall! I also enjoy decorating for the fall! It is by far my favorite season to decorate for because I think it is a great time to decorate for fall with nature! Yes, I love bringing nature inside this time of year for a beautiful and inexpensive way to update your home! 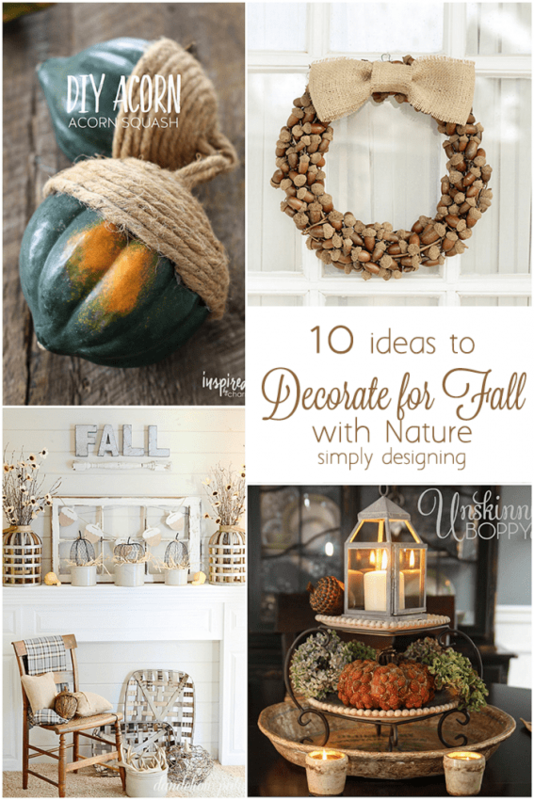 And so today I am sharing a few fun ideas to get your mind going of ways that you can decorate for fall with nature! 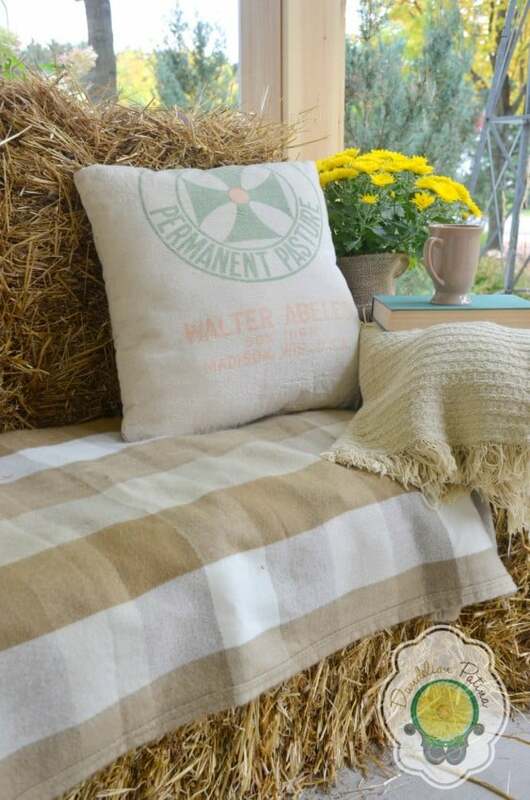 Ans this Hay-Bale Lounger from Dandelion Patina is a perfect way to add seating and a fall touch to your front porch. 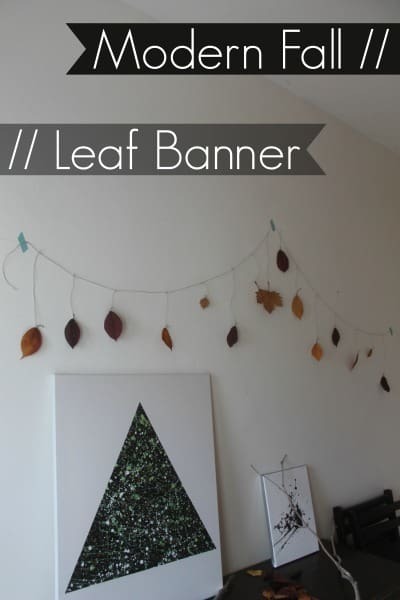 Thank you for including my leaf banner. 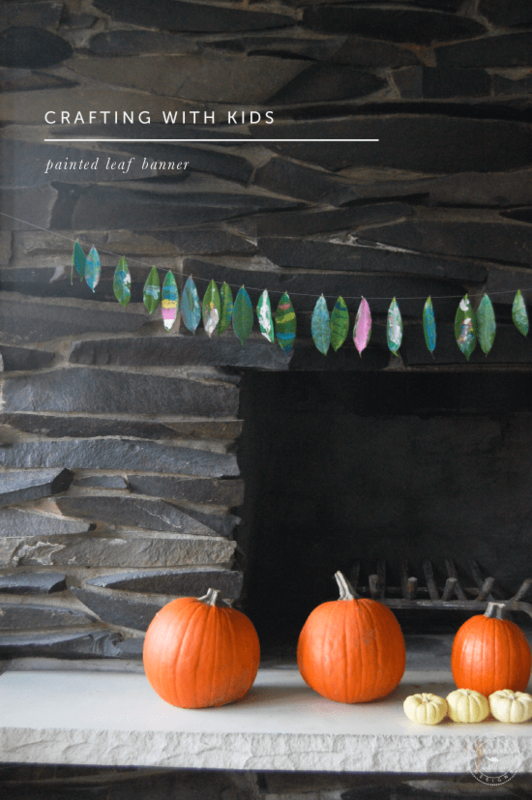 It is one of our favorite projects that we do all year round with magnolia leaves. 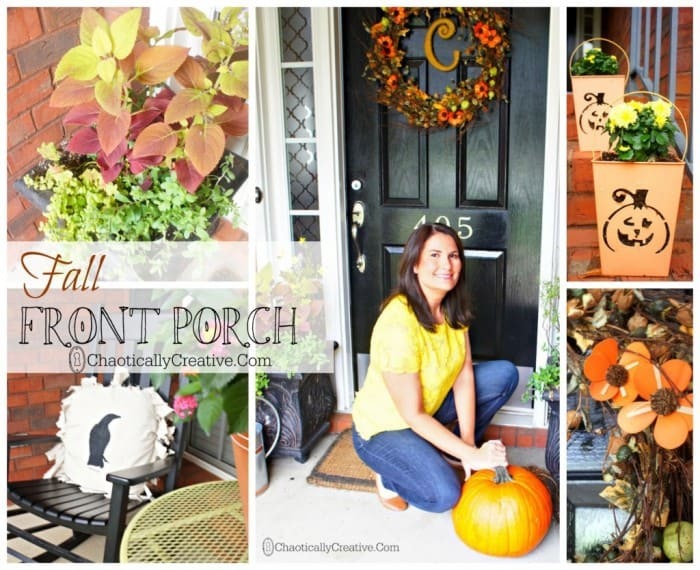 What a great round-up of fall ideas! That acorn squash looks interesting! Wow. Thank you so much for including me in your round up of fall inspiration. I am so excited that the season is almost here. These are awesome. I’m all over it! 🙂 I’m especially fond of the pumpkin planter! 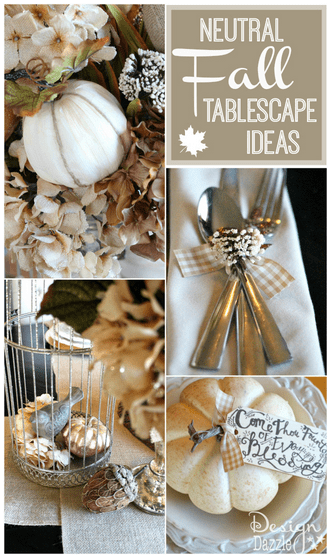 Great collection of easy fall ideas. 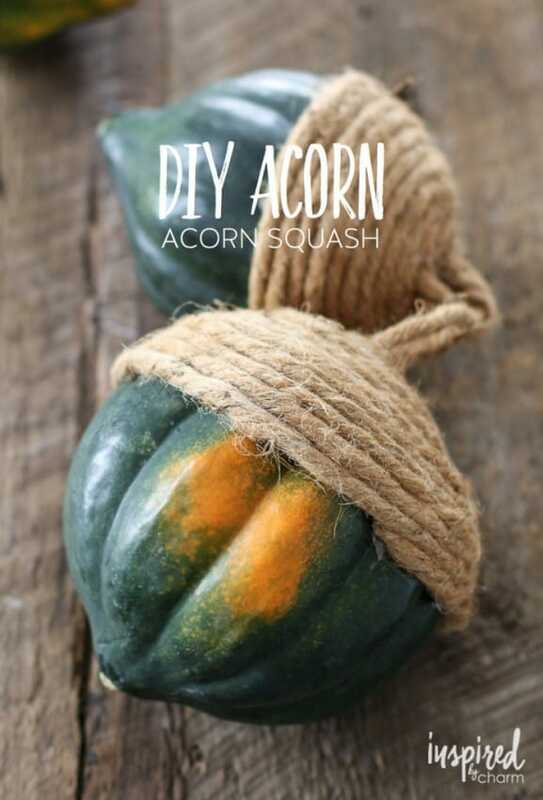 Love the squash acorns! Visiting from Welcome Home Wednesday. 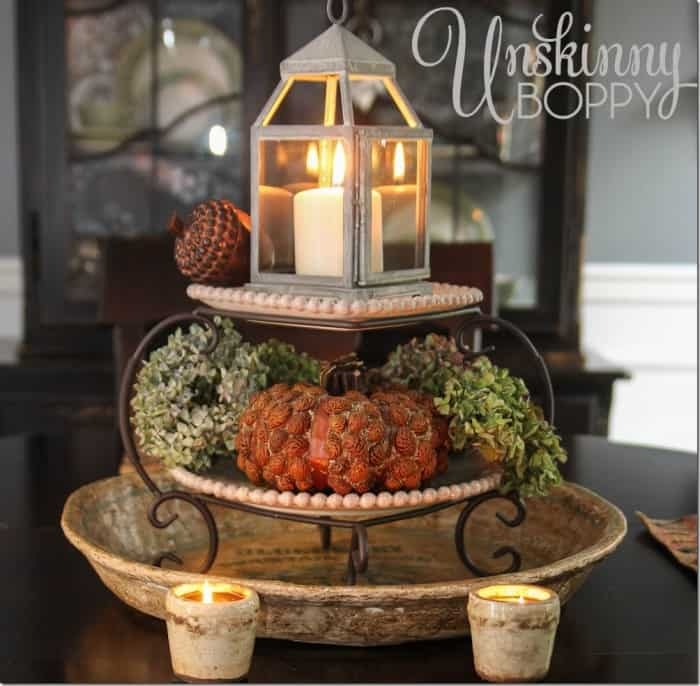 Very cute fall decor.Thanks for sharing the ideas with us all. 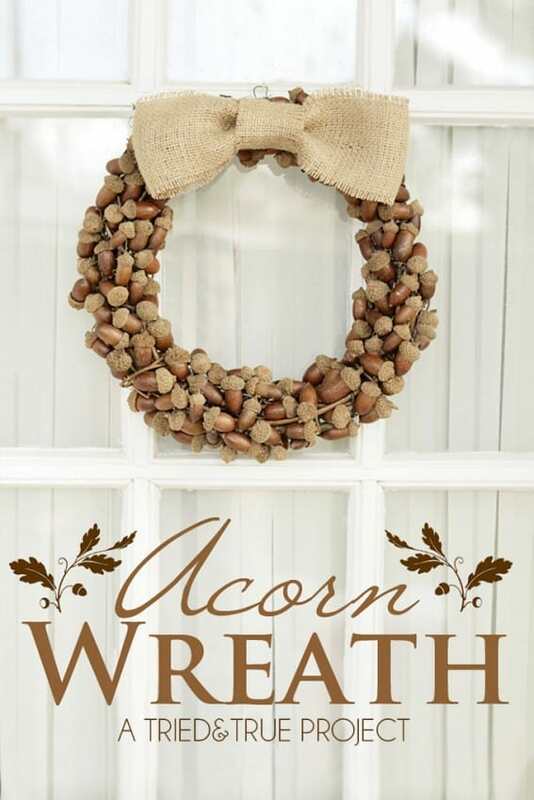 Love the acorn wreath. We currently have them falling like rain out of our trees. I should collect them before the squirrels do and try a version of that wreath. Thanks for sharing. What lovely inspiration for fall! 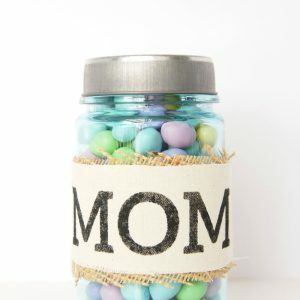 And I also wanted to mention that the Wednesday “To Grandma’s House We Go” link party just started over at grandmashousediy.com and I thought you might be interested in joining it, thanks! Great round up. 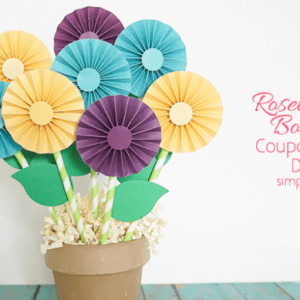 So much ideas for fall! 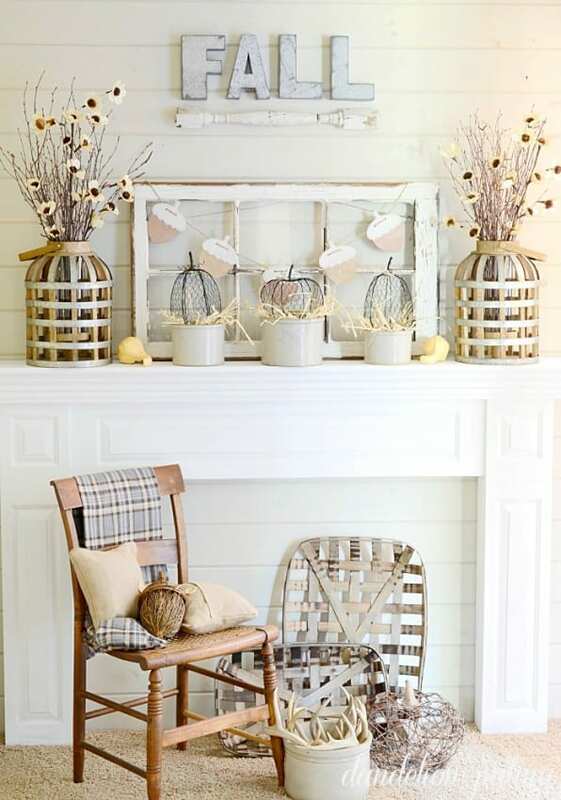 I love Fall and wish I could just decorate with the look all year long! Thank you for sharing with us.